Though people often come to SCARC to access our collection of two-time Nobel laureate Linus Pauling’s documents and correspondence, an important but oft-overlooked part of the archive is his personal library. It contains an incredibly diverse amount of material, including history, fiction, science, psychology, drama, and activism. That last category is particularly important given Pauling’s shift toward peace and anti-nuclear activism in his mid-40s; a closer examination of the books in his library from that point onward offers a possible view of the mental landscape that gave his peace activism its sustained intensity. One salient example is “Vietnam: Lotus in a Sea of Fire” by Buddhist monk and activist Thích Nhất Hạnh. Published in 1967, the book offers a piercing look into the real experience of Vietnamese people mid-crisis and how this commonly overlooked mindset contributed to the continually escalating Vietnam conflict. It begins by discussing “the historical setting” of religion in Vietnam before quickly pivoting to the rise of communist-capitalist tensions as global powers began to get increasingly involved. Hanh uses this context to address inaccurate perceptions held by the American public about Vietnam’s cultural climate; for example, he demonstrates that the majority of NLF (National Liberation Front) soldiers were not in fact fighting for communism, but rather for the end of American occupation. In escalating the conflict for the sake of fighting communism, therefore, the U.S. occupying force only drove the people of Vietnam against it more. There’s nothing out of the ordinary about the edition of “Vietnam: Lotus in a Sea of Fire” in our archives, but its presence in Pauling’s personal library can perhaps reveal some of the thoughts and ideas that inspired his anti-Vietnam War activism. Both Linus and Ava Pauling were strong public critics of the Johnson administration’s escalation in Vietnam – and books such as this make it easy to see why. Firsthand accounts from peace activists like Hanh make it difficult to interpret America’s role in the conflict as something other than immoral and ineffective. It’s inaccurate to assume a person agrees with a book simply because it exists in one’s library – but taking this book in context of the tenor of Pauling’s larger collection as well as the vehement discourse he used in fighting for peace can perhaps shed some light on how the sharing of ideas from peace activists around the world allows for stronger resistance against global injustice. Linus Pauling and others protesting the dismissal of H. Bruce Franklin, September 1971. Credit: Stanford University Libraries. In the wake of a series of heated and, at times, violent anti-war protests on and near campus, university president Richard W. Lyman moved to have tenured English professor H. Bruce Franklin dismissed from the Stanford faculty. In so doing, Lyman accused Franklin of having incited violence during a speech that he had given. Lyman also viewed Franklin as an enduring threat to others at Stanford. The ‘misbehavior’ which he [Franklin] is accused was not in connection with his academic duties. It is my understanding that Professor Franklin has not been charged with misbehavior or neglect or malfeasance in connection with his teaching or other academic duties. Bruce Franklin at a Stanford University demonstration, February 1971. Credit: Stanford University Libraries. I would say frankly that when I read of the bombing of the [U.S.] Senate yesterday [by the Weather Underground], I thought that that was a wonderful act and I understand that according to what is left of our rights in this country, that one supposedly has the right not only to believe that, but to say what I just said. The advocates of free speech are not prepared to allow free speech to people who think those thoughts and say those things… when a peaceful sit-in or advocacy of a strike is threatened as criminal behavior, the state teaches us a lesson – that our revolutionary analysis is correct and that at some time we should advocate immediate armed struggle against the state. They likewise invoked the Nuremberg trials as a precedent to question Henry Cabot Lodge’s role in “criminal war policies,” and cited the First Amendment in support of Franklin having protested Lodge’s appearance at Stanford. I believe that it is possible to formulate a fundamental principle of morality, acceptable by all human beings, and that this principle of morality can and should be used as a basis for making all decisions. The principle is this: that decisions among alternative courses of action should be made in such ways as to minimize the predicted amounts of human suffering. Pauling does not appear to have been as involved in the Bridges case, but he did save newspaper clippings and statements issued by Stanford Medical Center officials surrounding the April 1971 affair. According to a Stanford Daily article published after the incident, Bridges had been speaking with fellow employees about racist hiring policies at the medical center. Specifically, Bridges told his colleagues that he had been prevented from advancing within the hospital while others from the outside had been brought in to fill vacancies for which he was qualified; vacancies that would have served as a step up the ladder for Bridges. Other employees responded with similar stories, and Bridges shared them as well. Not everyone that Bridges spoke with was sympathetic however, and some complained. Within a week of these complaints being issued, Bridges was fired without any possibility of submitting a grievance. The Black Advisory Council at the medical center investigated the firing and found that there had been several complaints against Bridges for not doing his work and for being verbally abusive. Some of these statements were subsequently withdrawn, an action that precipitated an occupation of the medical center building with the occupiers calling for Bridges to be rehired. Once the occupation had passed its thirtieth hour, police cleared the space using tear gas and by breaking down the door of the office in which the occupiers had sealed themselves. Afterwards, the medical center allowed Bridges to pursue grievance procedures. He chose not to pursue this option, believing that it would not lead anywhere productive. Instead, he devoted more of his time to coordination efforts with the medical center’s Black Worker’s Caucus. While the Bridges affair resolved itself fairly quickly, Bruce Franklin’s case dragged into the next year. In January 1972, nearly a year to the day of his initial demonstration again Henry Cabot Lodge, the Faculty Advisory Board voted to formally dismiss Franklin, effective August 1972. With the assistance of the American Civil Liberties Union, Franklin attempted to fight the decision, but to no avail. It should come as no surprise that, while at Stanford, Linus Pauling kept a close watch on political activism, both on and around campus. While much of the material that Pauling saved would suggest that he was mostly an observer, a look through the Stanford Daily archives shows that, in fact, he continued to speak on topics related to peace and non-violent protest. During the years of Pauling’s association with Stanford, both faculty and students alike were involved in demonstrations related to the Vietnam War, which expanded into Cambodia in early 1970, Pauling’s first academic year in Palo Alto. Pauling collected a number of newspaper clippings documenting the protests and occupations that arose that spring in response. Pauling also retained a copy of a letter that Stanford President Kenneth S. Pitzer had sent to President Richard Nixon in which he asked Nixon not to further extend the United States military’s presence in Southeast Asia, arguing that it would only serve to further polarize the citizens from their government. We are coming to Stanford to show you our form of demonstration and violence. The first one to get the bullet between the eyes will be you… We know all about you from San Diego… Your days are numbered… we’ll get you. Though unsettling, this was far from the first time that Pauling had received a death threat. It is unclear who the group exactly was or why they had decided to target Pauling. Fortunately, nothing more came of their threat. H. Bruce Franklin being interviewed at a press conference, January 1971. Credit: Stanford University Libraries. It appears that Pauling kept out of much of the direct action, but remained a close observer of those who did participate in demonstrations and how they were treated. One key incident in particular involved a tenured English professor, H. Bruce Franklin, who had been involved in several demonstrations protesting the U. S. military’s actions in Southeast Asia. Pauling collected and saved numerous press releases, newspaper articles, and other documents related to Franklin. Franklin appears to have first come to Pauling’s attention in early January 1971. At that time, a group of faculty and students had disrupted a speech given at the Hoover Institute by Henry Cabot Lodge, the U.S. Special Envoy to the Vatican. Previously, Lodge had served as ambassador to Vietnam, having been appointed by President Kennedy in 1963. In this capacity, Lodge was involved in the development of both diplomatic and war strategies relating to the Vietnam up through the late 1960s. After being interrupted during his speech, Lodge moved to a smaller room to continue his talk, commenting that those who shouted over him were “afraid of the truth.” Bruce Franklin was among those subsequently charged by Stanford’s administration for interfering with the event. the gravity of the charge cannot be lessened by giving it an amusing-sounding name, for it is an offense that strikes at the University’s obligation to maintain itself as an open forum. The Stanford president believed that Franklin’s offense was severe enough as to merit suspension without pay for the academic quarter following the resolution of the case. John Keilch, a 24-year-old University Library staff member who was alleged to have also participated in the demonstration, faced a similar suspension. Six students were likewise punished. Franklin continued to speak out in the midst of all this. At the end of January, he took part in a demonstration with about 200 others in support of Los Siete — six Latino youths who had been charged with armed robbery and car theft. At the event, demonstrators clashed with police and Franklin was charged with felonious assault for elbowing a police officer in the ribs while the officer pushed Franklin in the back with a baton. According to the Stanford Daily, Los Siete had previously been acquitted of murdering a police officer, and the new charges of theft had been brought forward following their acquittal. The paper also reported that five police officers had grabbed Franklin, kicking him in the groin and striking him with clubs. Provocation? Marchers had permit for sidewalk. Arrested at RR crossing where sidewalk is not well demarcated from street. Police cars + other cars blocked intersection. None of this seemed to slow Franklin down. According to a chronology of events created by those supporting his activism, he was also involved in a rally in early February. At this gathering of roughly 750 people, Franklin advocated “shutting down the most obvious machinery of war” on campus, the Stanford Computation Center. In due course, some 150 people – Franklin not included – occupied the center for three hours until it was cleared out by the police. During the course of the rally, Professor Franklin intentionally urged and incited students and other persons present to engage in conduct calculated to disrupt University functions and business, and which threatened injury to individuals and property. Shortly thereafter, students and other persons were assaulted by persons present at the rally, and later that evening other acts of violence occurred. In addition to documenting Franklin’s history as they had viewed it, the authors of the chronology created a petition. The intent of this document was that it be presented to Stanford’s Advisory Board, arguing in favor of Franklin’s activities and right to free speech. Linus Pauling’s signature was among those included on this petition. An image of the April 24, 1971 March on Washington, as held in the Ava Helen and Linus Pauling Papers. The Paulings participated in a companion march held in San Francisco that same day. In September 1969, Ho Chi Minh died at the age of seventy-nine and was replaced by Premier Pham Van Dong. At this same time, the anti-war movement was gaining considerable strength in the United States. In October, a “Vietnam Moratorium Day” was declared, during which students and faculty alike walked off of campuses across the country to talk about the war with members of their community. We – you and I and the majority of Americans – who are going to stop this war, are now face to face in opposition to the small group of rich and powerful people who are using their power to keep the war going, year after year: the people who benefit from the war, the military-industrial complex, the Pentagon and the war contractors who get the 15 billion dollars per year of excess profits on the guns, bombs, Napalm, planes and other instruments of war; and also the politicians, such as President Nixon, who are indebted to them. Nixon Doctrine, was to build up the Army of South Vietnam to the point where they could take over the defense of their own country. This policy came to be known as “Vietnamization.” Meanwhile, China and the Soviet Union continued to supply the North Vietnamese – and by extension the National Liberation Front – with aid. By 1970, Nixon announced that 150,000 U.S. soldiers would be withdrawn over the next year, thus reducing the American troop presence by about 265,500 people from the time when he had entered office. However, at the same time, Nixon ordered a massive increase in bombing along the Vietnam-Cambodia border, and likewise redeployed many of the withdrawn troops to areas along the coast or just outside of Vietnam. These actions incited huge protests by those outraged by the President’s apparent subversion of his promise to de-escalate the war effort. Illness of another sort was also on Pauling’s mind. Around the same time that he proposed calling in sick to work, Pauling also recorded a radio address for KPFK-FM in Los Angeles on the subject of defoliant use in Vietnam. By 1968, he explained, 500,000 acres of cropland had been destroyed in Vietnam through the use of herbicides, some of which contained arsenic compounds. Not only did this action purposely lead to the starvation and death of civilians – especially the young and elderly – but Pauling attested that four scientists returning from South Vietnam with samples of food, hair, mother’s milk, and other substances had found them to be contaminated by these highly toxic herbicides. Moreover, some of the herbicides being used in the war effort were not only very lethal but also very stable, and Pauling emphasized that these poisonous compounds would remain in the ecosystems of Vietnam for many years. Pauling further pointed out that several of the herbicides had been developed deliberately for the purpose of crop destruction as a tool of war by E.J. Kraus, the chairman of the Botany department at the University of Chicago. Pauling saw this as a violation of the proper role of university research, and cast aspersions upon the influence that the military and corporate war profiteers alike were gaining with respect to his academic colleagues’ research agendas. The Paulings at an unidentified peace rally, possibly the April 24, 1971 San Francisco companion event to the March on Washington. As these and other horrors of the Vietnam War gained increasing media traction, the anti-war movement, and the concurrent withdrawal of troops, continued. In 1971, Australia and New Zealand withdrew their complements of soldiers, and the American troop count was likewise further reduced to 196,700, with the return of an additional 45,000 troops promised for 1972. But even as this significant drawdown in ground forces was underway, significant U.S. naval and air might remained in the Gulf of Tonkin, as well as in Thailand and Guam. From Pauling’s perspective, the major problem now hampering on-going peace talks in Paris was President Nixon’s continuing support of Generals Thieu and Ky of South Vietnam, political figureheads who had been put into power following a United States-sanctioned coup that had resulted in the assassination of the previous leader, President Diem. Both the North and many citizens of South Vietnam now refused to acknowledge these men as representatives of the provisional government of South Vietnam, and negotiations predictably suffered as a consequence. We, the undersigned American citizens, declare our willingness to go to Hanoi and Haiphong, and to declare ourselves Peace Hostages to protect Vietnamese citizens and American prisoners of war from American bombing. We each agree to spend at least two weeks in northern Vietnam until all the bombing of the area of the country stops and until all American military personnel and meteriel are removed from Indochina. Linus and Ava Helen Pauling signed this pledge, agreeing to use themselves, effectively, as human shields against further American bombardment of North Vietnam. It was a courageous and potentially deadly commitment that the couple would, thankfully, not be called upon to realize. “Hostages for Peace Pledge.” May 6, 1972. On January 15, 1973, just weeks after a major bombing offensive had decimated what remained of North Vietnam’s economic and industrial capacity, President Nixon ended all military action against the North. The Paris Peace Accords were signed twelve days later, officially ending direct U.S. involvement in the Vietnam War. A cease-fire was subsequently declared across North and South Vietnam, and U.S. prisoners of war were released. The agreement guaranteed the territorial integrity of Vietnam and, like the Geneva Conference of 1954, called for national elections in the North and the South. In other words, the conditions that Ho Chi Minh had made clear to Linus Pauling in 1965, and which Pauling had argued in favor of for the past eight years, had now been codified as an international agreement. In that time, it is estimated that anywhere from 800,000 to just over a million Vietnamese soldiers and civilians on all sides were killed, in addition to 200,000 Cambodians and 60,000 Laotians. Over 58,000 U.S. soldiers also lost their lives, with more than 1,500 still missing in action. Tragically, like the Geneva Accords before them, the Paris Peace Accords were quickly broken. In 1974, the Viet Cong resumed military operations, and South Vietnam’s President Thieu declared that the Paris agreement was no longer in effect. But this time, no American help arrived. In 1975, President Gerald Ford requested that Congress fund the re-supply of South Vietnam to defeat the National Liberation Front, who were now aided by a formal North Vietnamese invading force that was well-equipped, in large part, by other communist countries. Ford’s request was refused, and on April 27th, 100,000 North Vietnamese troops encircled Saigon, shelling the city while American helicopters evacuated vulnerable South Vietnamese citizens until the North’s tanks finally breached the lines of the South Vietnamese Army and captured the city. In July 1976, North and South Vietnam were merged to form the Socialist Republic of Vietnam and, over the next ten years, more than one million South Vietnamese were sent to reeducation camps, with as many as 165,000 dying as a result. After the war’s end, Linus Pauling carefully filed away the letters, the posters from various protests and anti-war lectures, and the memories of a long and bitter conflict. Included in these papers was correspondence concerning the Democratic Republic of Vietnam’s 26th celebration of nationhood in 1971. Though he was not in Hanoi for the event, Pauling had been in contact with a group that was, National Peace Action Coalition representatives Judy Lerner, David McReynolds, James and Patricia Lafferty, Joseph Urgo, and Ruth Colby. No words of ours can fully express how deeply we have been moved by the way in which we have been received. We, citizens of a nation that has brought such terrible suffering to the peoples of Indochina, have been received as friends. The people of Vietnam understand that it is the rulers of the United States and not its citizens who are the enemy of the Vietnamese. One of our members is a veteran of the Vietnam War, and it would have been natural if he had been received with hostility. Instead, the guide in the War Museum embraced him with tears in his eyes – a simple human encounter which lifted both men above the level of being Vietnamese or American, to the level of brothers who suffered together in this, the most tragic war America has ever waged. As North Vietnam celebrated its independence – an independence that had never been gained by South Vietnam – the American delegation in Hanoi affirmed again that, as the anti-war movement in the United States continued to swell, they would do everything in their power to end the conflict. This was a cause to which Linus and Ava Helen Pauling likewise devoted considerable energy over a full decade, and one that ultimately – through the pressure placed upon the governments involved by many such individuals throughout the world – played an important role in ending the Vietnam War. 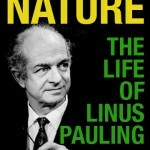 As the 1960s moved forward, Linus Pauling’s interest in contributing to an academic circle that resolutely rejected the Vietnam War continued to strengthen. A participant in several past petitions, Pauling co-authored another such document in June 1967, a “Scientists’ Appeal for Vietnam,” signed by a collection of scientific all stars including Nobel laureates Pauling, Lord John Boyd Orr, Dorothy Crowfoot Hodgkin, Alfred Kastler, André Michel Lwoff, C.F. Powell, Bertrand Russell, R.L.M. Synge, and Albert Szent-Györgyi. Additional signatories included Pauling’s close friend J.D. Bernal, an influential x-ray crystallographer and peace activist; neurologist and president of the Association of Scientific Workers Harry Grundfest; Soviet biochemist Alexander Oparin; and an Indian scientist and activist, S. Hussain Zaheer. The Scientists’ Appeal decried escalating American violence in Vietnam, pointing out that U.S. aggression was being mounted in direct opposition to strong world opinion against the war. In addition to publicly denouncing American foreign policy in Southeast Asia, each of the appeal’s signatories also reaffirmed their commitment to international science by donating one day’s salary to help buy books for the University of Hanoi and to support the continued functioning of scientific laboratories in the Democratic Republic of Vietnam. About a month before the appeal was released, Pauling attended a second Pacem in Terris conference, held this time in Geneva, Switzerland. Working through the Center for the Study of Democratic Institutions, a Santa Barbara-based international think tank where he was a fellow, Pauling helped to coordinate the convocation. One of the more pressing agenda items on the conference planner’s wishlist was the need to highlight the Vietnamese viewpoint on the war and, if possible, to bring National Liberation Front delegates to the podium for European and American participants to see and hear. In pursuing this, the World Council of Peace acted as intermediary, handling letters between Linus Pauling and the Vietnam Peace Committee. However, citing an inability to travel due to the escalating conflict in North and South Vietnam, neither representatives from the Democratic Republic of Vietnam nor from the National Liberation Front attended the event. I am ashamed of my country, the United States of America. My country is the richest country in the world. It is the most powerful country in the world. My country now leads the world in militarism, and leads the world in immorality. My country is waging an evil and savage war on the other side of the world, against a small, poor country. We are using jet bombers, napalm, and other cruel weapons to kill and maim the poor people of this country who believe that they are fighting for their freedom and homes against the foreign oppressor. I want to be proud of my country. I want my country to lead the world in morality, not immorality. I hope that this wicked war will soon be brought to an end. It is the duty of every American to oppose the policy of military aggression in Southeast Asia that is being followed by our government, the government of the United States…We are now waging an immoral and inhumane war, with use of chemical defoliating, nauseating, and lachrymatory agents, phosphorous bombs, and other terrible weapons, against the people of an underdeveloped country who are fighting for freedom and self-determination. Our government has initiated an attack on North Vietnam that may grow into a nuclear catastrophe that would destroy our civilization. Some are resisting openly and paying a heavy penalty, and some are organizing more resistance within the United States and some have sought sanctuary in other countries…We believe that each of these forms of resistance against illegitimate authority is courageous and justified. The notice was signed by over 100 public figures, Noam Chomsky, Allen Churchill, Allen Ginsberg, Jane Fonda, Ronald Dellums, and Linus Pauling included. As his views about the war sharpened and his rhetoric grew equally pointed, Pauling’s anger at the present situation became increasingly palpable. Speaking on multiple occasions at universities and elsewhere, Pauling made clear that he had abandoned the search for negotiations that had marked his public stance two years prior. In its place was an increasingly polarized viewpoint that had shifted from a hoped for solution to a complex problem, to abject condemnation and disgust. This point of view was on clear display in August 1967, at a Hiroshima Day demonstration held in Los Angeles. Speaking there in observance of the nuclear attack on Japan some twenty-two years earlier, Pauling took the opportunity to focus on Vietnam. The crime of Hiroshima was excused by President Truman as needed to save the lives of American soldiers. This is false. It was an act of the Cold War against the Soviet Union….Friends, fellow citizens of the United States of America, my fellow Americans: We are criminals, you and I, the members of Congress, President Lyndon B. Johnson—we are all criminals….If President Johnson had to kill – shoot, burn to death – ten Vietnamese women and children every morning before breakfast, the war would soon end. But the public did not see the true victims of the war, the war in its totality, nor the cost on both sides, and this, Pauling contended, was one of the many great lies that kept it going. Moreover, Vietnam was only one part of a bigger picture that Pauling now begged the public to recognize. Rich nations – the United States being chief among them – had profited tremendously from the suppression of human rights campaigns, with profits from investments in poor and underdeveloped countries doubling over the past ten years. This continuing state of affairs, Pauling argued, was enforced by the might of a United States military that now spanned the globe. Likewise, the U.S. had tactically distributed $48 billion in munitions to militant proxy groups in numerous countries over the past sixteen years. In short, the scope of the problem was not limited to Vietnam. Rather, Pauling now felt that Vietnam was merely the most tragic and horrific example of what the United States had become in the Cold War Era: a economic and military empire willing to arm groups around the world that were beholden to American interests or, as needed, unleash its own military directly. By early 1965, convinced that the United States government was the primary obstacle to initiating a cease-fire and subsequent negotiations in Vietnam, Linus Pauling increasingly began to go on the offensive against the war. Pauling returned to New York in March to participate in a peace parade and rally, walking with fellow protesters from 5th Avenue to the Central Park mall, where he delivered another speech decrying the war as both immoral and illegal. Developments in Vietnam made it increasingly important that those who opposed the war speak out forcefully. By the summer of 1965, the American ground war had been authorized by President Johnson, an action that marked a profound departure from the administration’s previous insistence that the government of South Vietnam bear the responsibility for defeating the National Liberation Front (NLF). Due to continued losses by and falling enrollment within the army of South Vietnam, U.S. ground troops were deployed in a new strategy that had now switched from defensive to offensive. This drastic change was deemed necessary as the NLF was seen by U.S. officials, including Secretary of State Dean Rusk, as a front for North Vietnamese hostilities and nothing more. Moreover, the the North’s aggression was not meant to unify the nation under a democratic regime, but represented instead a policy of communist expansion that enjoyed at least tacit support from China and Russia. Rusk’s premise was one that Pauling had specifically rejected. In particular, Pauling pointed out that Rusk’s opinion on the plausibility of negotiations either distorted or, at times, ignored the actual position of the NLF, a stance that had been made clear in August 1965 and which made headlines in Europe, if not the United States. The crucial detail that the Rusk and the American media had failed to communicate was that the NLF’s Five Point Declaration – a document based on the four-point plan that Ho Chi Minh had earlier communicated to Pauling and to the world – did not stipulate that U.S. troops be withdrawn as a precondition to negotiations. In fact, it called only for a freeze in the build-up of American troops, for a concurrent cease-fire, and for American agreement that the NLF to be brought to the negotiating table as a direct party or state entity. The NLF’s end goal for any ensuing negotiations would be a return to the 1954 Geneva Accord, an agreement that Washington had once purported to support as well. The failure to act on or even move toward this opportunity was, for Pauling, a clear indication that the United States was not interested in ending the conflict. In December, Pauling wrote a statement to this effect, which was divided into two parts and aired on WPTR radio in Albany, New York. In the broadcast, Pauling reiterated these beliefs in an attempt to correct the broad American assumption that the North Vietnamese were not inclined to enter negotiations. Prior to 1965, some of the most prominent academics commenting on the war were doing so in support of the war effort. Among them were McGeorge Bundy, William Bundy and W.W. Rostow, each of whom was an academic who held a position of influence on foreign policy in Vietnam. With the deployment of American troops in 1965, an equal and opposite cohort of thinkers had coalesced, and Pauling got the idea of calling for a meeting between representatives of this group, of which he was a part, and the Bundy group. Pauling’s argument against the Bundy point of view was that a war could not be fought without clear enemies and allies. Assuming this, and based on the United States’ stated policy as well as the targets that it had already struck, it was unclear how enemy was being discriminated from ally. Indeed, insurgent groups were being attacked at undisclosed targets in not only South Vietnam, but also North Vietnam, Cambodia, and Laos, a fact that was largely hidden from public view in the United States. Meanwhile, the political situation in South Vietnam was becoming increasingly unstable. Air Marshal Nguyen Cao Ky and a figurehead Chief of State, General Nguyen Van Thieu, had risen to power following the assassination of President Diem and a series of internal coups that followed. Further complicating matters was the face that war in Vietnam was never declared, and Pauling argued forcefully that, as such, American military action continued to be undertaken, in effect, unconstitutionally. The issue of legality extended to international law as well, with the U.S. acting in apparent violation of the charter of the United Nations, which required members to refrain from the use of force until all attempts to settle a dispute were exhausted. Likewise, the Geneva Conventions of 1949, which defined crimes against humanity, and the Geneva Accords of 1954 all seemed to have been violated by the United States’ entry into the conflict. Pauling’s position against the war was encapsulated in a a personal letter that he sent to McGregor Bundy in April 1965. If the real reason that a cease-fire was not possible was the communist aspiration for victory by force, Pauling asked, then would the United States in fact support free elections in Vietnam even if doing so resulted in a democratically elected and unified communist Vietnam? If an answer came, it does not remain extant. Regardless, by the middle of the 1960s, Pauling had increasingly come to agree with the point of view that the war in Vietnam was principally being fought to contain communism and to protect American economic interests. If this were true, then the American government, under both Kennedy and Johnson, had deliberately misled the American people – a suspicion that was confirmed for Americans in 1971 with the unsanctioned release of the Pentagon Papers to the New York Times. Pauling’s shifting perspective and his increasingly vocal activities during this time displayed his growing lack of confidence in his country’s leadership, another example of the broken trust that many other Americans were feeling as the 1960s moved forward. George W. Ball and President Lyndon Johnson, ca. 1965. Image credit: George W. Ball Papers, Princeton University. Almost as soon as he had received it, Linus Pauling sent a copy of Ho Chi Minh’s letter of November 17, 1965 to U.S. President Lyndon Johnson. While the letter contained some “strongly worded” rhetoric about the United States, Pauling wrote, these were to be expected from the leader of a small country that was undergoing significant aerial bombardment from a world power. In Pauling’s view, the more loaded statements made in the letter were relatively unimportant. Rather, Pauling highlighted Ho Chi Minh’s aspirations for peace as the crux of his response, pointing out that his four-point prescription for resolution was not described as a prerequisite for the initiation of negotiations. Indeed, Pauling took pains to note (perhaps with some measure of concern) that Minh had not called for negotiations as a means to achieve a peaceful resolution at all. Nonetheless, he believed that the Vietnamese leader’s hopes for peace in his country could prevail if the United States initiated negotiations for strategic withdrawal and cease-fire. In this, Ball implied that the inability to negotiate a cease-fire was not the fault of the US, but rather the doing of the National Liberation Front, or perhaps the North Vietnamese government in Hanoi. Pauling questioned this implication, arguing instead that since the United States did not view the National Liberation Front of South Vietnam as a legitimate political entity and viable negotiating partner, the U.S. shared at least some culpability in perpetuating the war. The possibility that this belief is correct is supported by the last paragraph in the letter sent to me by Under Secretary Ball, which reads as follows: ‘We give the same support to your appeal. We hope it may help to persuade the government of Hanoi and the government of Peking that this conflict should be moved to the conference table.’ I am accordingly writing to ask you the following question: Does the United States government refuse to negotiate with all of the governments and parties concerned in the war in Vietnam, including the National Liberation Front of South Vietnam, or is the government of the United States willing to negotiate with all of the governments and parties concerned in this tragic conflict? The response to Pauling’s letter came, once again, from George Ball, and he did not directly answer Pauling’s question. Rather, Ball replied that the National Liberation Front was “exactly what its name connotes,” a front for North Vietnamese aggression against South Vietnam. From the perspective of the White House, the NLF held no standing under international law, enjoyed only coerced support from the people of South Vietnam, and had no ability to survive except as a tool of the regime in Hanoi. For the United States, the key term that might lead to negotiations was that the revolutionaries leading the resistance in South Vietnam speak at the negotiating table solely through the established leadership of the North Vietnamese government. Crucially, the American government claimed that it was willing to respect the conventions of the Geneva Accords, which both North Vietnam and the NLF also wished to see respected. Since both sides seemed to agree on this and yet no cease-fire had come about, Pauling concluded that the United States was not being honest in stating its support for a return to the 1954 accords. Ho Chi Minh in his study. I accordingly now write to ask you the following question: Is the government of the Democratic People’s Republic of Vietnam willing to begin negotiations that would lead to a cease-fire and a peaceful settlement of the Vietnam War without making any conditions as prerequisites to the beginning of the discussions? As indicated in his exchange with Philip Noel-Baker, the core issue for Pauling was whether North Vietnam would require that American troops withdraw entirely, or require that all the conditions of the Geneva Accords of 1954 be upheld, before negotiations began. The way to peace is: The United States must stop their aggression. It must strictly respect the fundamental national rights of the Vietnamese people as recognized by the 1954 Geneva Agreements on Viet Nam. That is the way which has been clearly pointed out by the March 22, 1965 Statement of the South Viet Nam National Liberation and the four-point stand of the Government of the Democratic Republic of Viet Nam… If the U.S. Government really wants a peaceful settlement, it must recognize the four-point stand of the government of the Democratic Republic of Viet Nam…it must end definitively and unconditionally the air raids and all other war acts against the Democratic Republic of Viet Nam.